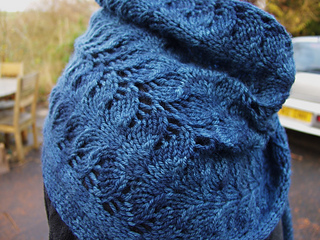 ’Ceffyl Dŵr’ is a knitted lace scarf or wrap, based around a symmetrical leaf pattern for the main body, with moss stitch borders. 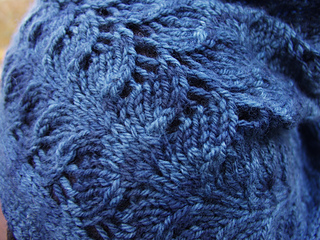 The deeply cut, textured main stitch pattern rises out of the stockinette at one end, then progresses along the wrap to disappear into the stockinette at the opposite end. 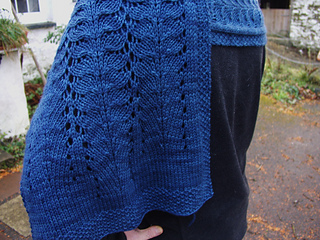 It’s knitted on both sides, including purling through the back loops of stitches hence not a mindlessly easy shawl. 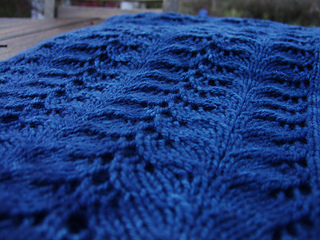 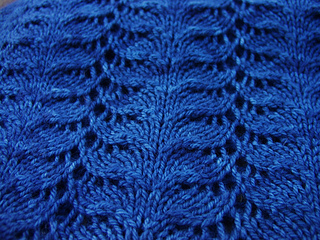 However, the pattern isn’t significantly challenging, and could be attempted by most knitters with some lace experience. 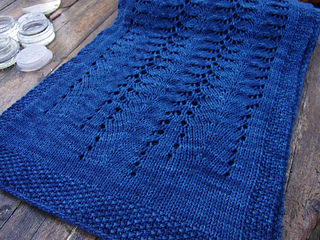 Three skeins will give you a decent heavy scarf; four skeins will give you a long scarf or wrap, depending on how you block. 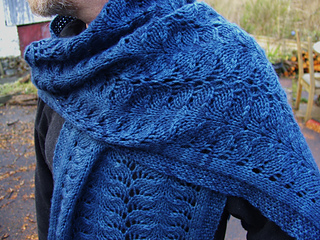 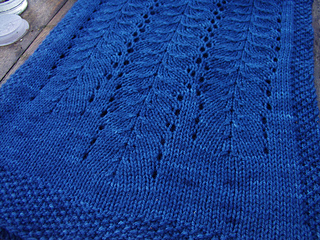 The wrap/scarf could easily be scaled down to a DK – probably 4.5mm needles using two or three skeins - and extra width-wise repeats of the main body could be added for a wider wrap in a 4-ply or laceweight. 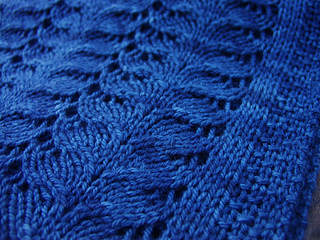 Charted and written patterns are now available.